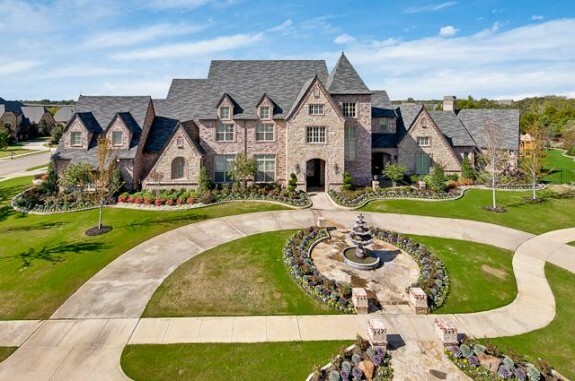 If you are looking for a 9,000 square foot plus second home in Texas that is a hop, skip and jump from D/FW with the added plus of no state income taxes, well, thank DeMarcus Ware. The Dallas Cowboys linebacker just plopped his home, Castleton Manor at 6900 Rockingham Court, on the market with a price tag of $2.198 milion. 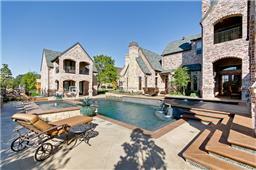 From the looks of it, Ware wants to move on up from Colleyville to fancier digs. And why not? He’s the highest-paid, high-performing Dallas Cowboy ever, with a six-year, $78 million contract extension that has a $40 million guarantee. Life is good, but apparently not good enough in Colleyville. I would guess the All-Pro defensive end is eyeing larger digs in the Big D, possibly Strait Lane or Vaquero. He’s also one of the few in town who might could swing ownership of Champs D’Or, now reduced to $35 million! 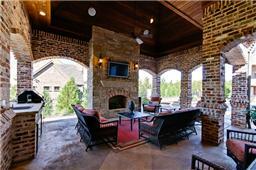 The Rockingham Court mansion is on a cul de sac in a private gated community. Built in 2008, the 9300 plus square foot manse boasts six bedrooms, and seven and a half bathrooms, custom everything plus all the extra rooms one expects in these homes: four living areas, numerous bonus rooms, a wine porch — PORCH! — for heaven sakes with a suspended bed overlooking the pool, seven fireplaces, a theater room and, of course a loaded chef’s dream kitchen. TVs are everywhere, I think I counted 15, and remain with the home. 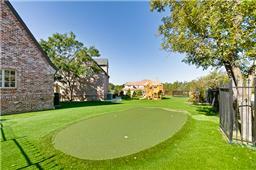 The spread is on an acre and of course has all the outdoor living doo-dah plus: cushioned turf play area, ground level trampoline, private putting green, outdoor pavilion, and pool with a raised spa. Is there an outdoor kitchen? You bet your bootie. And several porch areas. About the master: it’s to-die for, with a master suite and tricked-out spa bath. Oh yes, we must not forget the guest house loaded with the same level of finish out in the home. So agents, dust off your high end listings. Looks like the Wares do not need pre-qualification or even to sell their current home before they can start the big-time house shopping! 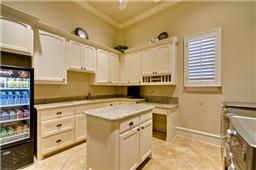 Listed with Gale Sloan of Century 21, Mike Bowman Inc. in Colleyville.